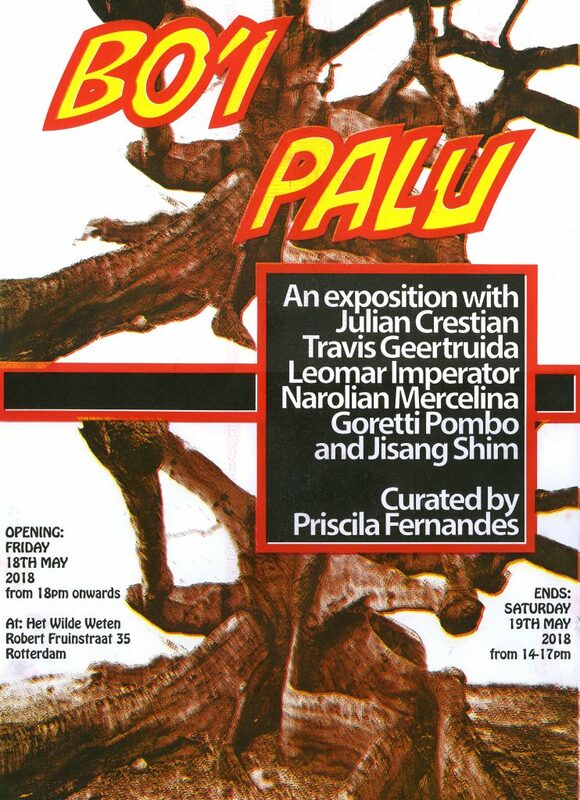 An exhibition by Julian Crestian, Travis Geertruida, Leomar Imperator, Narolian Mercelina, Goretti Pombo and Jisang Shim. Bo’i Palu, in Papiamento, means ‘underneath the tree’, an expression that characterises unproductive individuals, but also self-established or impromptu businesses found on the side of the roads in Curaçao. Picking up from the dichotomy of this expression – whose connotation is both negative and positive – Priscila Fernandes has invited several artists she met during her residency at Instituto Buena Bista, in Curaçao, to reflect about the about the relationship between leisure and work. For the past weeks, this young group of artists has been meeting at HWW to discuss and produce work for an exhibition opening this Friday at 18pm.